sapphiRe talks about one of esports' most vital backstage roles. Heather has been observing CS:GO tournaments since 2015. Previously, she has seen success as a journalist and professional player, winning the ESWC 2012 Women’s Cup. As the bombastic opening to last month’s ELEAGUE Major demonstrated, esports have come a long way since the LAN parties of the ‘90s. Within this developing environment, more and more unique careers are emerging. While CS:GO’s casters and analysts rival even the players in popularity, a further selection of vital backstage roles are only just starting to gain attention. Chief among these unsung heroes are CS:GO’s observers. 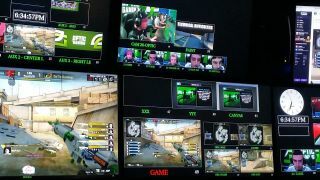 By controlling the in-game camera, the observer decides which player perspectives or camera angles are broadcast during the match. When you’re watching an online stream, every viewpoint is chosen by them. With the onus on ensuring that the big plays are captured each round, the difference between a good and bad observer is not to be understated. Experienced observers are few and far between, and as tournaments continue to expand, it’s a position increasingly in demand. I had the chance to speak with Heather ‘sapphiRe’ Garozzo, one of CS:GO’s most accomplished observers, on what the role entails. A former professional competitor, Heather has been playing CS since its initial release in 1999. Alongside her gaming career, Heather began covering CS:Source as a freelance writer, travelling at her own expense to cover various events. Eventually noticed by companies such as ESEA and ESL, Heather moved onto CS:GO coverage until, out of the blue, she was asked to observe a match. As it happened, this match was part of the 2015 ESL One Cologne Major Qualifier and opened the door to a career that few playing the game were even aware of. Since then, Heather has worked at a great number of notable events including the MLG Columbus Major and ESL Pro League Season 2 Finals. Anticipating the key moments in each round is no easy task, with players often spread across all corners of the map. A good knowledge of the scene is therefore a great boon. Getting a grasp of which players are the main entry fraggers, AWPers and lurkers is just the beginning. Getting to know the players themselves is the real goal. This knowledge extends beyond those competing to the external talent. Another key part of an observer’s work is to compliment the casters. During a match, casters are often in direct communication with the observation team, making requests for specific viewpoints or statistics. Working in tandem over a number of tournaments, Heather has built up a rapport with CS:GO’s top casting talent, and is able to adapt her style to suit them. The level of involvement and prior knowledge required to reach the top might seem daunting, but Heather is quick to offer some basic tips to improve your observing significantly. An observer’s goal is to consistently find the most exciting part of the match. This can involve swapping between both sides based on the pace of a team or which segment of the round is occurring. If observing sounds like your thing, the tools included in CS:GO make starting out easier than ever—but you’ll need to earn some experience before you hit the big leagues. Fortunately, Heather suggests, there is plenty of demand. An additional route is to work with those keen to get involved in other areas. The popularity of match commentators like Anders Blume and Henry “HenryG” Greer has led to many new faces keen to practice their casting talent. Most will be more than keen to work with an observer and ease their workload. By virtue of being an off-camera role, observing has been slow to gain recognition by the community—but times are changing. Last year’s ESL Pro League Season 2 Finals included observers among their talent announcement, and casters have even been making an effort to commend their good work. With most observers starting out as fans and players of the series, it’s fantastic to see their work gain appreciation in the audience. As esports evolve, here’s hoping these hidden stars continue to be acknowledged.